We are in a tropical country. 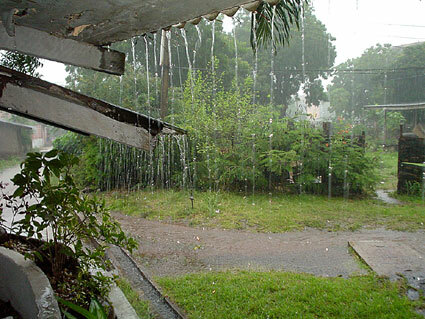 If its not sweltering hot and sunny, its wet and rainy. During these months of rain you'd be too lazy to do anything at all. Even I would just want to slack around and doze the whole day off given the chance (which happens most of the time on weekends). We Filipinos fortunately found pampainit tactics that takes away the gloom of rainy days. I give you the Top 5, starting with...LUGAW. We love rice. And lugaw is made of rice. Nothing beats a heaping bowl of this stuff on a day of downpour! It cooks easy and its cheap. Just turn on the stove, throw rice and water in a pan, tadaaaa! Lugaw. Of course if you want something tastier, put some more effort, like sauteeing ginger and some chicken, and sprinkle kasubha (safflower or fake saffron). Chop some green onions as toppings and toasted garlic...ahhhhhhhhh heaven! Ilabas na ang kalamansi at patis!!! Its among the best during a rain day. Spain brought cacao here in the Philippines hundreds of years ago, and we made it a part of the Filipino Culture. 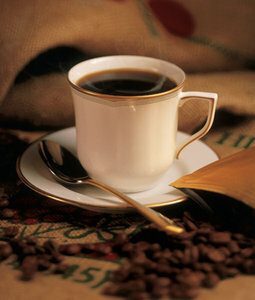 On a rainy day, have some tsokolate which is part of our Top 5. It always makes me wonder why mainitan ang tyan is so important for us Filipinos especially the old people. But as I found out, it traces its roots to our healing arts. Anyway, lolo and lola would tell you to have some hot chocolate which they made from boiling thick cocoa chips. You get that warm, fuzzy feeling while drinking, and the narcotic effect of chocolate...just like falling in love. After trying hot tsokolate you might want some more. Drinking it is glorious enough, but cooking it with rice is just as delicious. Part of the Top 5 is the Champorado. Kids love champorado. I remember how I crave for this when I was young. This rice cooked with chocolate steals away boredom and makes you race to the table. It tastes good whether you put condensed, evap or powdered milk on it. But having it with tuyo is just the next level of enjoying champorado. Why? Maybe because of bitter-sweetness mellowed by creamy milk plus the shot of saltiness from tuyo gives the eater a great kick on a boring rainy day. Coffee is the next on our list. Our history with these beans go a long way back. Batangas was the coffee capital of the Philippines and we were exporting coffee to the world for decades. Back then, it was difficult to make a cup, you have to brew. With instant coffee, it has never been easier making a cup to keep you warm, although I must say I have never been a fan of instant coffee so I'll still be the guy to tell you go for the brewed and go for Kapeng Barako. Watching the hypnotic drops of rainwater outside of your home, listening to the sound of raindrops in the roof creates a very relaxing setting. Sit on a chair near the window with a cup of coffee in your hand, it just feels great. Pwede na pala ako gumawa ng commercial ng instant coffee. Originally from our Chinese roots, this has been a delight for all who want a warm and full tummy. Before, the preparation of a noodle dish is really complex and its difficult to prepare at home. But right now, instant noodles is a big hit. 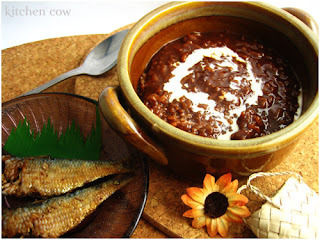 One day you got bored with all the other food like champorado and lugaw. Boil water, put noodles and seasonings in, you have something that will keep you slurping and make you full. But really, a good noodle soup can make a gloomy day bright. Maybe its the noodle preservative that gets you high or just the fact that being busog makes a person happy. Whatever the reason is, both chikitings and the adults like noodles on a rainy day. Just eat it as soon as its served. No one wants it cold. So, did you like my Top 5?